Oh in store displays, what can’t you tell us? Above you can see Famicom R.O.B. and the Timmy/Tommy Nook combo, booth of which we did not know were coming. 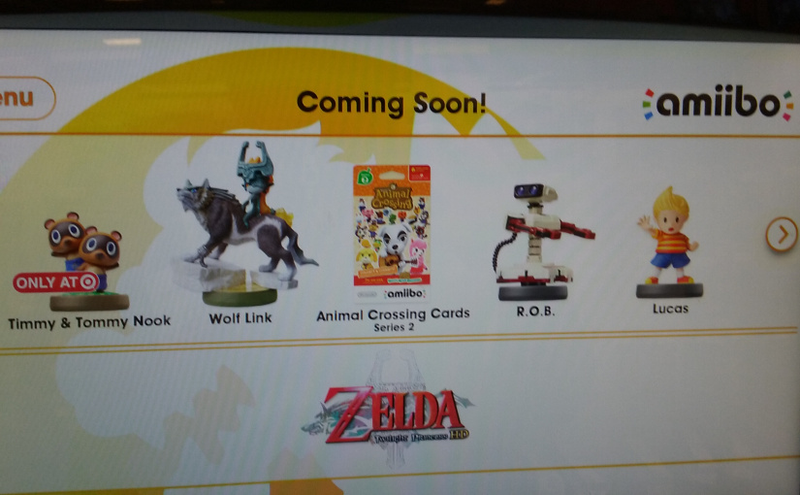 These new images were spotted at various stores across the retail market. Check’em out. Seems Roy is a GameStop exclusive. Boo, I say, boo. Exclusives are the worst. New Kapp’n and Rover amiibos! Swell. And here’s Ryu, looking slick. I’ve fallen off the amiibo train just a bit, but I think I’ll pick up the remaining Smash Bros DLC figures if I get the chance. Who’s with me?